The Conventus project has moved into the development of the learning system which combines material from the SKILLS project with new material into five training modules. 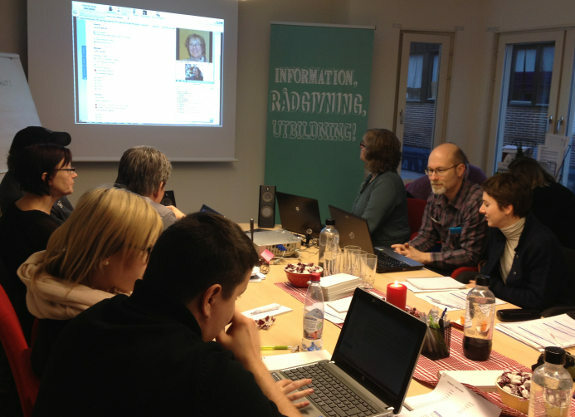 At the project meeting at the Coompanion office in Skaraborg, Sweden, some of the material was tested. 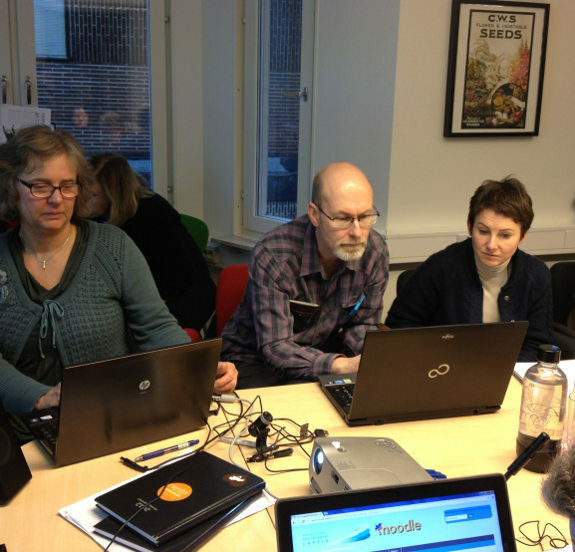 The testing of the learning material in Moodle was partly led via an iLinc internet connection with Tornio. The testing session also comprised a demonstration of the four-field group analysis method. 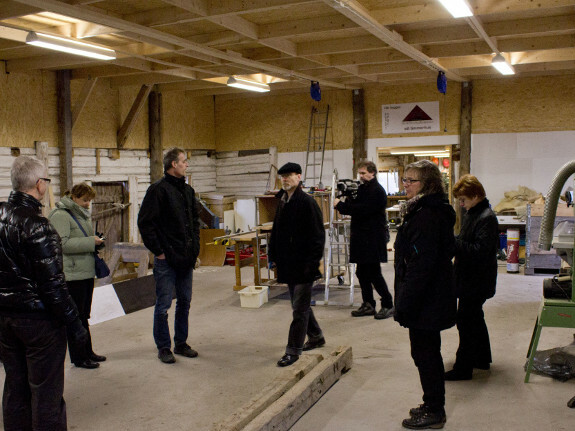 The attendees, which included cooperative members from different European countries also went on different study visits to various cooperatives in the Skaraborg region. 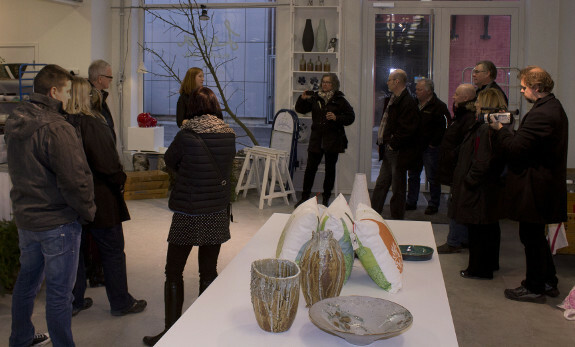 The visit to SkaraborgsAssistans even made the local paper! SkaraborgsAssistans demonstrates the potential of doing business in which human benefits are a priority and where integrity, freedom of choice and self-determination are a matter of course. SkaraborgsAssistans shows that cooperative companies increase people’s opportunities to participate in work and in decision making. Götene Företagskooperativ was another cooperative that was visited. It is a social cooperative located in the small town of Götene. Götene has a population of about 13000 and you will find it in the south-west of Sweden on the southern shore of lake Vänern near the nature reserve of Kinnekulle. The cooperative has about 20 members and the areas of activity of the cooperative are mainly in building log houses and other building work. They are about to open up a B&B during 2013. They can also hold lectures about social cooperatives and supervising. Their vision for the future is to open a dog daycare center, a greenhouse and a strawberry plantation. Götene Företagskooperativ became the Cooperative of the Year in Skaraborg 2012. The motivation was as follows: Götene Företagskooperativ runs a commercial establishment in a harmony with social values where everyone has a common arena and where everyone’s knowledge and experiences are important. A concept where the weak win the force through joint engagement in their idea under the basic principle that there shall be a place for all people in a company, that everyone is needed. The cooperative LeraMedmera is a handicraft cooperative formed by a number of individual artisans working with clay and ceramics. They have joint marketing and share the costs of their venue which is located on the former Rörstrand Factory area in Lidköping. The cooperative is also working on assignments for other artists who want to produce their work in a larger edition. The cooperative is relatively newly started and is building up their business in their gallery. Finally, the social cooperative Bruk för Alla is something you never think you would find in a small place like Falköping Sweden. But there is a place, a cooperative that helps people, who are or have been unemployed for long periods of time, or they have some dysfunction that they have acquired or are born with. Bruk för Alla cooperative gives hope back to people, people whom society has discarded. Bruk för Alla thinks that everyone can do and wants to do something with their lives. Everyone is important! Bruk för Alla gives people ways to be productive, be a part of the society. It has been running since 1995 for the good cause. They do almost everything. The Bruk för Alla cooperative has jobs in ICT and different kinds of manufacture (handmade items like decorations, furniture etc.). Many people could learn a lot from them and everyone would know that they can do something. 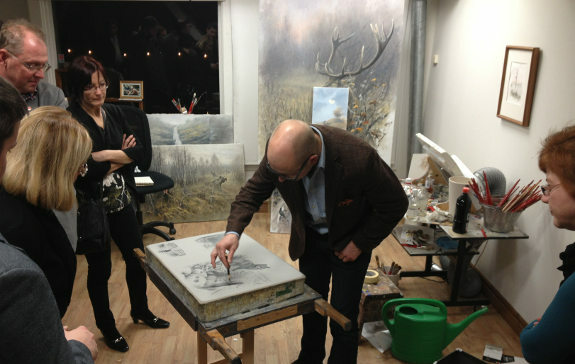 A demonstration at Löfwings atelier. 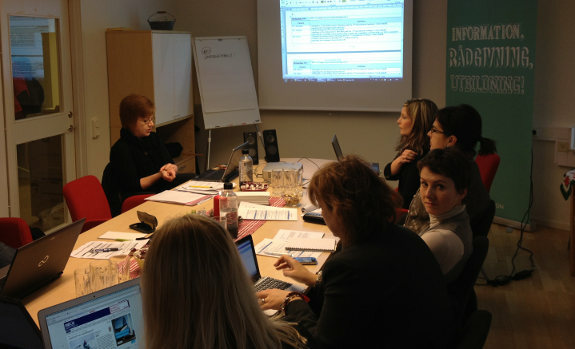 The Conventus project partners participating in the meeting expressed their satisfaction with the meeting and the project progresses.